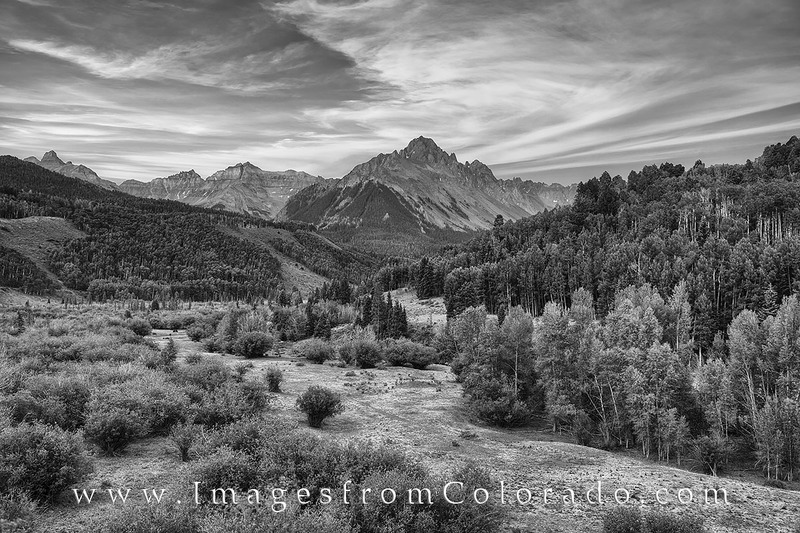 Heading to an early morning hike near Ridgway, Colorado, in the San Juan Mountains, I had to pull over and capture this view of Mount Sneffels with clouds swirling through the sky. The wind was still and all was quiet... a good way to start the morning. This black and white photograph was taken in early July before sunrise. Photo © copyright by Rob Greebon.